Our grandfather Frank was a hard working Blacksmith in the Ballarat region, and at the heart of a Blacksmith’s shop is a fire they call the Forge. With a combination of the fire, great skill and plenty of hard work, great things are created. Take a look at our wood fire oven and you’ll know why we are “The Forge”. 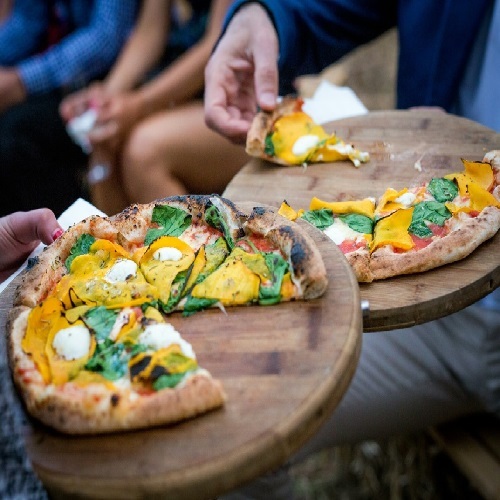 We’ll be serving up our favourite woodfired pizzas and dessert pizza at the Nightjar Festival.